It seemed to be quiet with the fraudulent lawyers from Tenerife, but no, they are still there…unfortunately! The latest set up or name they are using is Legalizalos. We can assure you this lawyer does not exist and as a matter of fact the surnames are not even real surnames. Same spiel as before with all the other fake lawyer companies from Tenerife, supposed claim in the courts, no win no fee, the claim goes through and they start asking for money. First the procurator fee, then the taxes, then they send a cheque in the post that gets lost, then another lawyer handles the case of the stolen cheque, etc, etc. This is a SCAM!!! Don’t even doubt about it, it is all a big fraud! 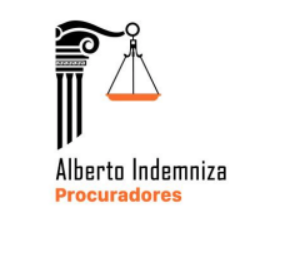 If LEGALIZALOS or one of their agents has contacted you with their story about a claim in the courts of Tenerife, please do let us know. You can send us an email to customercare@mindtimeshare.com or fill in the CONTACT form. Cet avertissement s’adresse principalement aux propriétaires de biens à temps partagé francophones. Il a été porté à notre attention qu’après avoir reçu des appels de fausses sociétés de revente telles que Grupo Marcia ou Progreso & Gestion, le consommateur reçoit un appel de Garcia Roca Notario. Mme Aline Dauban ou M. Alain Longuet, qui travaillerait pour Étude D. MANUEL GARCIA ROCA, a expliqué au consommateur qu’il reprenait les dossiers de la (fausse) agence de revente en faillite. Ils offrent au consommateur le rachat de leur semaine car l’argent de la vente a été déposé sur des comptes par la société chinoise qui était supposée acheter tout le temps partagé. Mais, comme le rappellent Mme Dauban / M. Longuet, le consommateur devra s’acquitter de la TVA, l’IVA. Après l’appel téléphonique, ils envoient une facture qui a l’air vraie mais qui est complètement fausse! NE CROYEZ PAS CES PERSONNES, C’EST UNE FRAUDE! Ceci a été enregistré le 19 mars 2019, donc il y a seulement 1 mois! Si vous avez été en contact avec une société de revente et que vous êtes maintenant appelé par des notaires du bureau du notaire Garcia Roca Notarios, veuillez nous en informer. NE PAYEZ PAS D’ARGENT À CES PERSONNES! This warning goes out mainly for French-speaking timeshare owners. It has been brought to our attention that after receiving calls from fake resale companies such as for example Grupo Marcia or Progreso & Gestion, the consumer receives a call from Garcia Roca Notario. Mrs. Aline Dauban or Mr. Alain Longuet, supposedly working for Étude D. MANUEL GARCIA ROCA explain to the consumer that they are taking over the files of the (fake) resale agency which had gone bankrupt. They offer the consumer the redemption of their week as the money from the sale was deposited on accounts by the Chinese company who supposedly was buying all the timeshare. But, as Mrs. Dauban / Mr Longuet point out, the consumer will have to pay IVA, Spanish tax. After the telephone call they send an invoice, which looks real but is completely fake! PLEASE DO NOT FALL FOR THIS SCAM! This was registered on the 19th of March 2019, so only 1 month ago! If you have been in contact with a resale company and are now called by people from the notary office Garcia Roca Notarios, please let us know. DO NOT PAY ANY MONEY TO THESE PEOPLE! This time it is not a cold caller. TLS Consultancy & Litigation actually approaches the timeshare consumers by letter and includes a leaflet of their services. 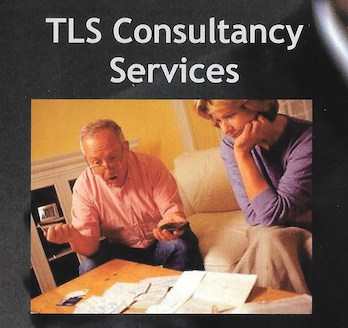 On the leaflet they actually call themselves TLS Consultancy Services. The letter indicates that this is send to the consumer to inform them about the wind up of ITRA and indicating they are aware of their dealings with ITRA, RA Consultants and/ or CA&M International. Please be assured that even with the issue of ITRA being wound up, your private and personal details will NEVER EVER be made public domain!! TLS Consultancy & Litigation offers to claim back the money paid to the above-mentioned companies, by preparing a legitimate defence of the consumers’ claim, including mediation, and they anticipate this process can take approximately 8 to 10 weeks. TLS Consultancy & Litigation offer a telephone number 0115 7141 9943 which as per the leaflet will be diverted to their legal representative. Missing on all this colourful paperwork is the actual company details such as a Companies house registration number, address, etc. There is no mention about the legal company acting on the consumers’ behalf and they don’t seem to have a website either. It seems very strange that TLS Consultancy & Litigation is only targeting the people who dealt with RA Consultants and CA&M International, the people offering claims through meetings in UK Hotels and from their offices in Elviria on the Costa del Sol in Spain. If you received this letter from TLS Consultancy & Litigation offering you this supposed legal service to get your money back paid to RA Consultants, RA Marbella, CA&M International or anybody else for a timeshare claim or relinquishment, please do let us know! SS Delgado or Sofia Sanchez Delgado is the latest cold caller targeting mainly Dutch-speaking timeshare owners. 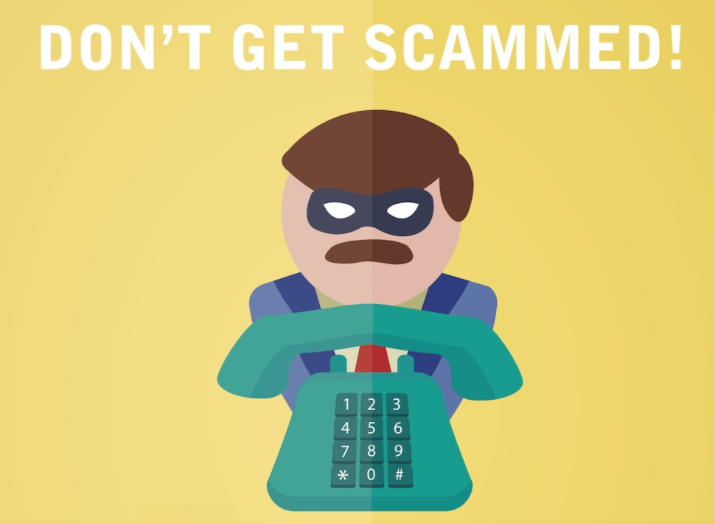 The telephone pitch of the agent called Dirk Verhoeven is very similar to all the other cold callers pretending to be lawyers and offering supposed compensation claims to the Dutch timeshare consumers. The company from Ms’ Sofia Sanchez Delgado claims to be acting on behalf of the timeshare consumers who have found that over a 70% of the timeshare companies are fraudulent and money can be recovered. Supposedly the company SS Delgado Asociados is doing these claims on a no win no fee basis, but once the money has been recovered and transferred into a “Escrow Account” the consumer is expected to pay a 9,2% legal fees before he can receive this money. To make it all look official, SS Delgado Asociados asks the consumer to sign an authorization form in order to allow SS Delgado to act on his or her behalf. Registered on the 14th of January 2019 the website is only available in English. Please note that this is a fake set up! Do NOT pay them the 9,2% legal fees as there is no money recovered through the courts and it will be difficult (impossible) to see this money back once you pay them. If Sofia Sanchez or Dirk Verhoeven have approached you from 0034604290681 and offered to claim back money on your behalf, please do let us know. You can email us customercare@mindtimeshare.com or fill in the CONTACT form.